“Eric Maisel’s Deep Writing Workshop provided me with the wisdom, warmth and encouragement I needed to return to my writing project, along with a no-nonsense rigor that helped me stay with it when the going got tough. Eric is a kind, generous and skilled group facilitator. An expert in his field, he creates a container in which transformation is truly possible.”—Vinita J., 2017 Brighton Deep Writing Workshop. “At some point in the workshop, I regained my drive to write and create meaning in both my inner and outer landscapes. Eric’s leadership made that possible for me and facilitated that shift into my newfound sense of identity as a writer. Thank you, Eric!”—Marian R.
“In the last three years I’ve written, crafted, and stressed about three short stories. In the last three days with Eric, I’ve written, edited, struggled with and enjoyed creating three new short stories. What didn’t seem possible to me previously is now an organized set of tangible techniques, strategies, awareness, and work that I’m producing.” – Muireann O. “Eric knows the writing process from the inside out and that’s how he teaches it. I’ve learned how to quiet my mind, still my body, and focus my intention. The result? 15,000 words written in a single week and a strengthened conviction that it matters.” – Darlene C.
“I came to the workshop with the desire to resume a writing practice. Never in my wildest imagination did I have the intention of starting a book. Guess what? I have started to write a book! Eric’s lessons have broken down barriers—even my imaginary ones—that have prevented me from writing.” – Carol K.
“Fascinating, funny, and unbelievably useful. Finally, an approach to writing that actually works!” – Susan B. “It’s hard to get going on a writing project. This workshop provides everything that you need: helpful and inspiring lessons, plenty of time to write, and no sharing or critiques. You will be amazed by how much you will accomplish and you will go home with the tools and motivation to keep at it.” – Amy M.
“I didn’t know what I was looking for when I signed up for Eric Maisel’s Deep Writing workshop. By the end of Day 2, I had found it anyway. He gave me the tools to sustain a writing practice and to honor my desire to write. I can’t think of a better endorsement than to say that I hope that my daughter one day encounters Eric.” – Cynthia B. 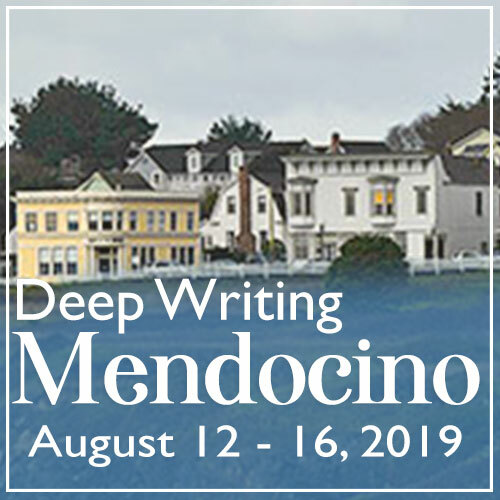 “Mendocino is best known for spectacular scenery, seaside Victorian villages and distinctive wineries, although most people come to Mendocino to get away and relax. The majority of our Mendocino Hotels put a large emphasis on pampering their guests! Most offer scrumptious breakfasts, some even in bed, others offer a rejuvenating massage in luxurious Day Spas. Enjoy your stay in one of our romantic Mendocino Inns to unwind for a few days. “The combination of cool coastal breezes, warm days and the fertile soils of the Mendocino Wine Country help produce world-renowned award-winning Mendocino wines. Spend a relaxing day wine tasting. 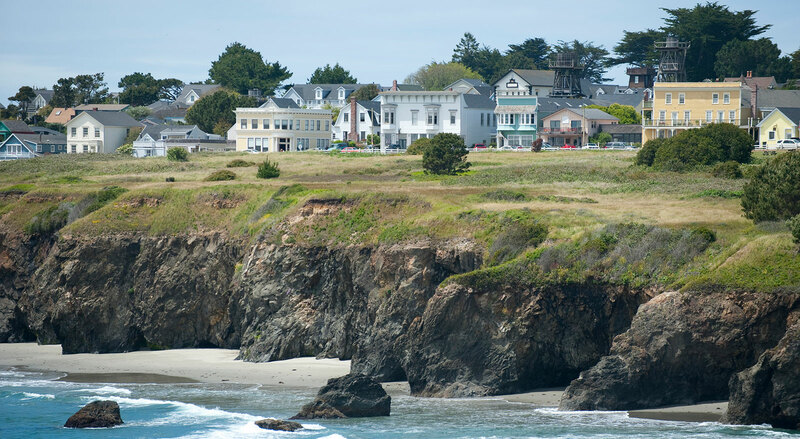 And Mendocino Village is surrounded on three sides by beautiful ocean bluffs, known as the Mendocino Headlands. 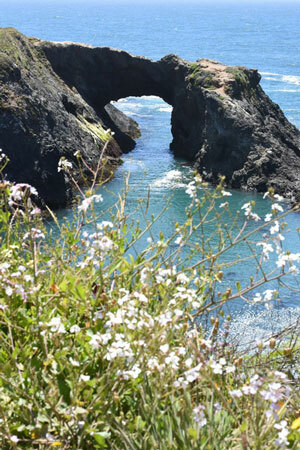 There are walking trails that afford incredible views of the ocean and New England-style Victorians that have been lovingly restored into romantic Mendocino Bed and Breakfasts and specialty shops. 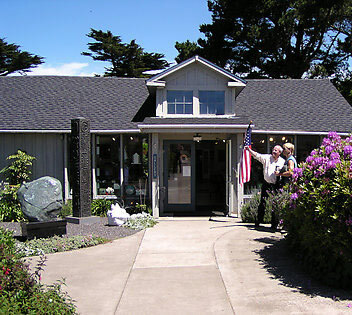 If you’re coming from nearby, you know how to get to Mendocino! If you’re coming from further away, you’ll probably come through San Francisco, drive up from San Francisco on the Sunday morning before the workshop begins, enjoy our Sunday evening get-acquainted get-together at the Mendocino Art Center, and spend a wonderful week writing, socializing, and exploring. Whether you are coming from near or far, I look forward to seeing you there!